Elected to the Thirty-Sixth Parliament for Albany on 10 February 2001 in succession to Antony Kevin Royston Prince (defeated). Re-elected 2005, 2008, 2013, 2017. Acting Speaker of the Legislative Assembly from 29 March 2005 to 7 August 2008. Acting Speaker of the Legislative Assembly from 11 November 2008 to 30 January 2013. Speaker of the Legislative Assembly from 11 May 2017. Shadow Minister for Sport and Recreation; Great Southern; Veteran's Issues from 9 April 2013 to 11 March 2017. Parliamentary Secretary to the Minister for Tourism; Racing and Gaming; Youth; Peel and the Southwest; Disability Services; Sport and Recreation; Citizenship and Multicultural Interests; Seniors (with respect to Sport and Recreation only) from 26 October 2005 to 25 November 2005. Parliamentary Secretary to the Minister for Local Government and Regional Development; Land Information; Goldfields-Esperance and Great Southern; Sport and Recreation (with respect to Great Southern; Sport and Recreation only) from 25 November 2005 to 2 March 2006. Parliamentary Secretary to the Minister for Water Resources; Sport and Recreation from 2 March 2006 to 27 June 2006. Parliamentary Secretary to the Minister for Resources and Assisting the Minister for State Development; Employment Protection; Goldfields-Esperance and Great Southern (with respect to Goldfields-Esperance and Great Southern only) from 2 March 2006 to 19 December 2006. Parliamentary Secretary to the Minister for Local Government; Employment Protection; Racing and Gaming; Goldfields-Esperance and Great Southern (with respects to Goldfields-Esperance and Great Southern only) from 19 December 2006 to 2 March 2007. 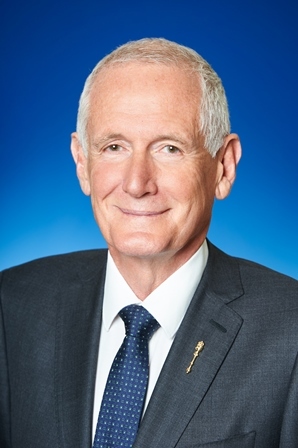 Parliamentary Secretary to the Minister for Police and Emergency Services; Community Safety; Water Resources; Sport and Recreation (with respect to Sport and Recreation only) from 27 June 2006 to 23 September 2008. Parliamentary Secretary to the Minister for Agriculture and Food; Forestry; the Mid West and Wheatbelt; Great Southern (with respect to Great Southern only) from 11 April 2007 to 23 September 2008. Member, Joint Standing Committee on Delegated Legislation from 28 June 2001 to 24 November 2005. (Chair from 7 April 2005 to 24 November 2005). Member, Public Accounts Committee from 8 March 2006 to 7 August 2008. Member, Education and Health Standing Committee from 13 November 2008 to 30 January 2013. Member, of the Joint Standing Committee on the Review of the Racing and Wagering Western Australia Acts from 24 September 2009 to 21 October 2010. Member, Joint Standing Committee on Delegated Legislation from 23 May 2013 to 18 February 2014. Member, Joint Standing Committee on the Corruption and Crime Commission 11 February 2014 to 30 January 2017. (Deputy Chair from 19 February 2014 to 30 January 2017). Member, Procedure and Privileges Committee from 23 May 2017. (Chair from 24 May 2017). Born 30 May 1947, Reservoir, Victoria. Arrived in Western Australia, January 1961. The electorate of Albany is located in the South West Region and includes all or parts of the City of Albany and the Shire of Jerramungup. Comprising of all or parts of the localities of Albany, Bayonet Head, Big Grove, Bornholm, Boxwood Hill, Bremer Bay, Centennial Park, Cheynes, Collingwood Heights, Collingwood Park, Cuthbert, Drome, Elleker, Emu Point, Fitzgerald River Nat Pk, Frenchman Bay, Gairdner, Gledhow, Gnowellen, Goode Beach, Green Range, Green Valley, Jacup, Jerramungup, Kalgan, King River, Kojaneerup South, Kronkup, Lange, Little Grove, Lockyer, Lower King, Lowlands, Manypeaks, Marbelup, McKail, Mettler, Middleton Beach, Millbrook, Milpara, Mira Mar, Mt Clarence, Mt Elphinstone, Mt Melville, Nanarup, Napier, Needilup, Nullaki, Orana, Palmdale, Port Albany, Redmond, Redmond West, Robinson, Seppings, South Stirling, Spencer Park, Torbay, Torndirrup, Vancouver Peninsula, Walmsley, Warrenup, Wellstead, West Fitzgerald, Willyung, Yakamia, and Youngs Siding. Enrolment (2017) 27,143; area 10,841 sq kms.